2019 Lok Sabha polls: SP, BSP to contest 38 seats each in U.P. 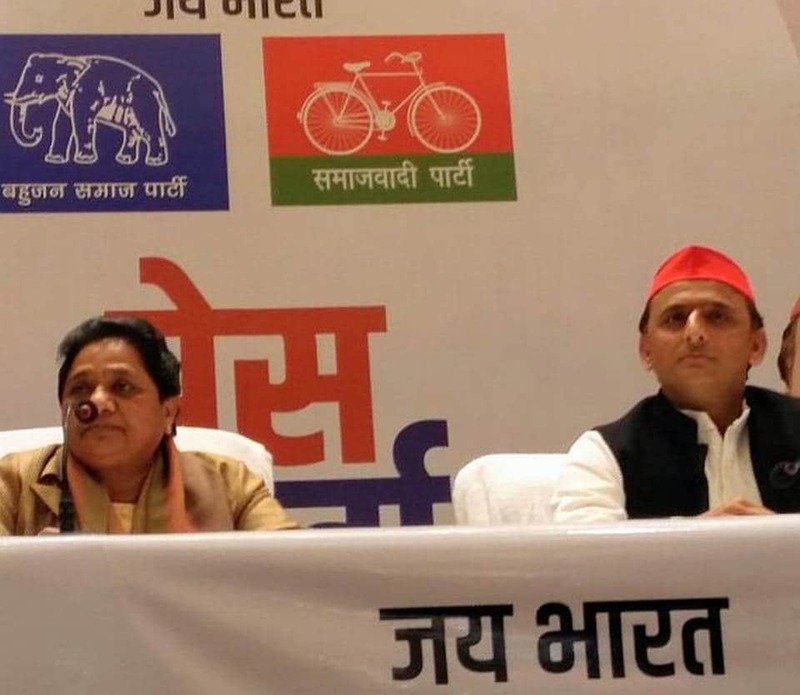 Lucknow Bahujan Samaj Party chief Mayawati and Samajwadi Party president Akhilesh Yadav on Saturday announced their alliance in Uttar Pradesh for the 2019 Lok Sabha polls, sharing 38 seats each out of the state’s 80 parliamentary constituencies. The parties kept the Congress out of the alliance, but said they will not field candidates in Amethi and Rae Bareli, represented by Congress president Rahul Gandhi and UPA chairperson Sonia Gandhi. The alliance left two more seats for smaller allies. Making the announcement at a joint press conference with SP president Akhilesh Yadav here, BSP chief Mayawati said that the alliance will rob Prime Minister Narendra Modi and BJP president Amit Shah of their sleep. The BJP taught us how to do ginti (arithmetic),said Mr. Yadav on Friday, claiming that despite having a superior record on development, his party had lost out on the arithmetic. A result of this strategy was seen in Gorakhpur, Phulpur and Kairana where the BJP lost its in by-polls as the grand-alliance tested waters successfully. Mr. Yadav said the number of alliances stitched up by the BJP to win elections had gone unnoticed. The proximity between the two old rivals, the SP and BSP, started soon after the drubbing in the 2017 Assembly election in which the BJP and its allies secured 325 seats out 403. The BJP played down the potential of the SP-BSP alliance, with CM Yogi Adityanath calling it a desperate attempt to save their existence. Public knows the truth and they will give the reply when time comes,he said.